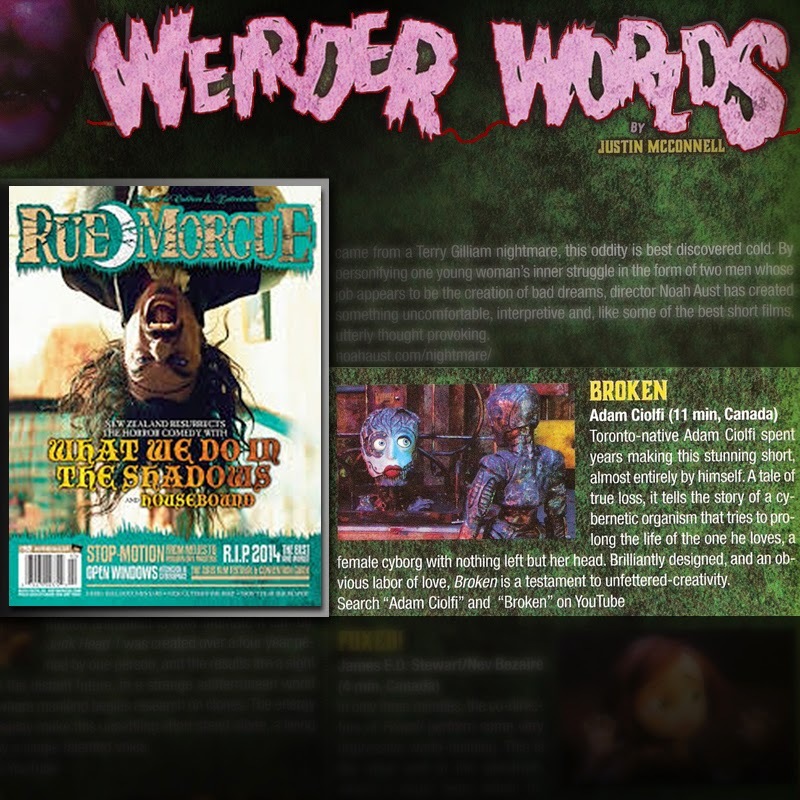 A flattering write up for BROKEN can be found in the pages of the latest issue of Rue Morgue magazine (#152) For those who are not aware, Rue Morgue is a Toronto based publication dealing with horror in culture and entertainment. With a devoted international following Rue Morgue is widely considered one of the best and most respected sources of horror journalism in the world. Being a long time reader makes being included in their pages a somewhat surreal experience, one that you might hope for but never expect to happen. Thank you to Justin McConnell for his kind words. You can find Rue Morgue on the newsstands at any Chapters/Indigo location.